The U.S. 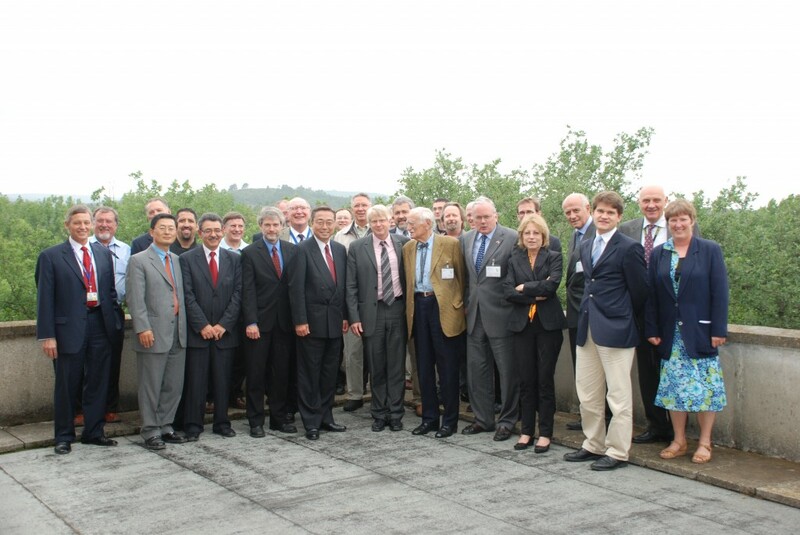 Ambassador and the ITER Directors amidst the American ITER staff. 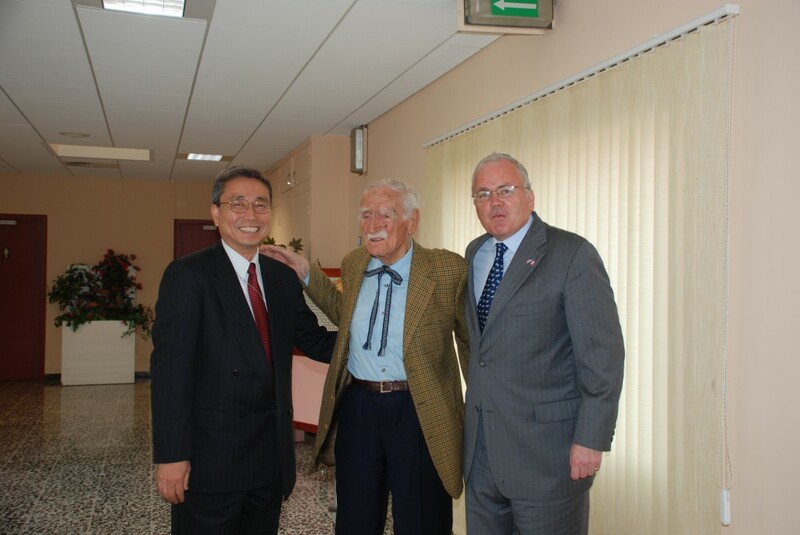 98 and still going strong: Francois de Rose (centre) with U.S. Ambassador Craig Stapleton and ITER Director-General Kaname Ikeda. Ambassador Craig Stapleton, U.S. Ambassador to France, visited ITER on 29 May. The Ambassador was accompanied by Mr Francois de Rose - 98 years old — one of Europe's great scientific statesmen - who was crucial in setting up CERN. Philip Breeden U.S Consul General in Marseille, was also present. The visit started with lunch at the Cantine des Cadres on the Cadarache site. All U.S. citizens at ITER were invited to the lunch to have the opportunity to greet the Ambassador. This was a good move, as the relaxed atmosphere facilitated open dialogue throughout the afternoon. M. de Rose recounted fascinating anecdotes of his meetings with such scientific giants as Einstein and Oppenheimer. During a meeting in the ITER building, the DG, Norbert Holtkamp, Gary Johnson and Neil Calder dispensed with PowerPoint and had a focussed discussion with the Ambassador on progress at ITER. U.S. funding for Financial Years 2008 and 2009 was discussed and Stapleton was very supportive. There was then a visit to the site guided by Francois Gauché, Head of Agence ITER France and Michel Bedoucha, Deputy Head of CEA Cadarache. The weather was dismal but the mood was bright!